There are lots of reasons to sell a property. It may be time to find more space for a growing family, or to downsize and save costs. Perhaps you’re looking to relocate, or are selling on an inherited property. 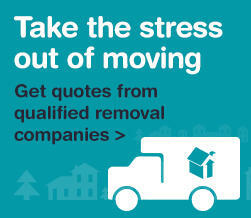 Whatever the reason, moving house can be a stressful and daunting process. That’s why at Belvoir Moray we can focus on being the most honest and helpful estate agent whether you are buying or selling a property. We are an independent family run firm of Specialist Estate Agents & Property Managers with offices in Elgin & Forres. Being established over 25 years allows us to offer an experienced and professional service to all our clients. Therefore if you are looking to sell, purchase or lease property in the Moray area contact the experts, Cluny Estate Agents. From our new offices in a prime location in Elgin high street, Keith Parott and Gordon Alexander, the owners and principal valuers, ensure that Grampian Property Centre provides an energetic and progressive service in sales. A warm welcome to Grigor & Young’s Estate Agency service, offering homes for sale, mainly in places like Elgin, Forres, Lossiemouth, Aberlour, Fochabers, Hopeman and Burghead. Wink and Mackenzie are a firm of Solicitors and Estate Agents with a very wide geographical base serving clients throughout Scotland. We pride ourselves on our approachability which helps us to achieve our aim of guiding you through the everyday maze of rules and regulations while lending a helping hand during some of the biggest decisions of your life.